Padded Bench made in deer suede is hand painted with a Longhorn skull and brands on the cushion top. 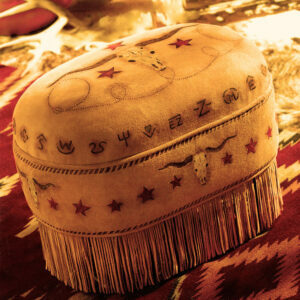 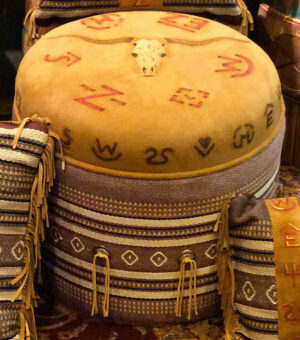 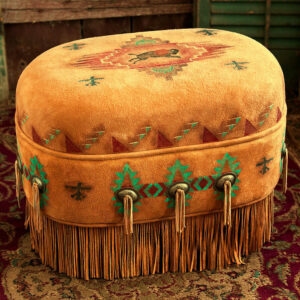 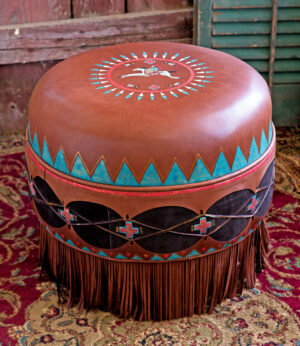 The cushion is surrounded with fringe and the sides are painted with Longhorns and stars. 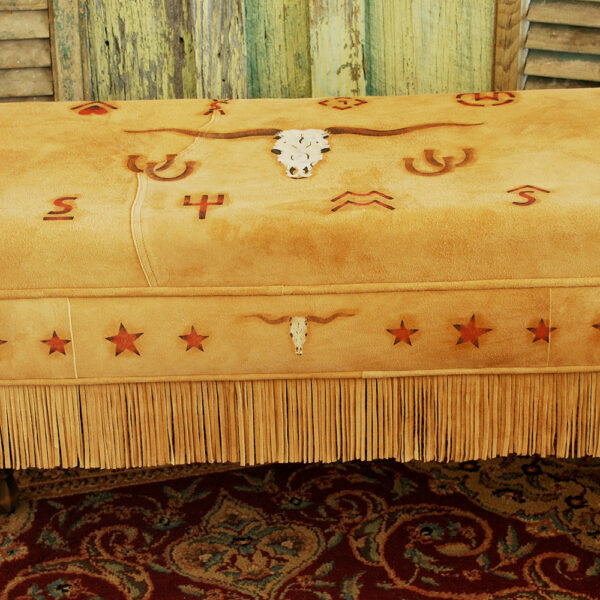 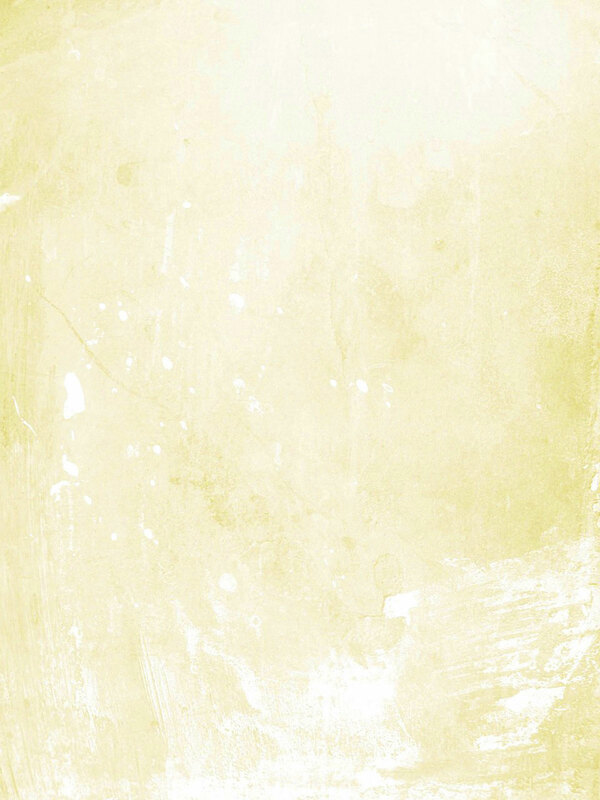 Muted colors and whimsical paint style give the bench a charm reminiscent of the old West. 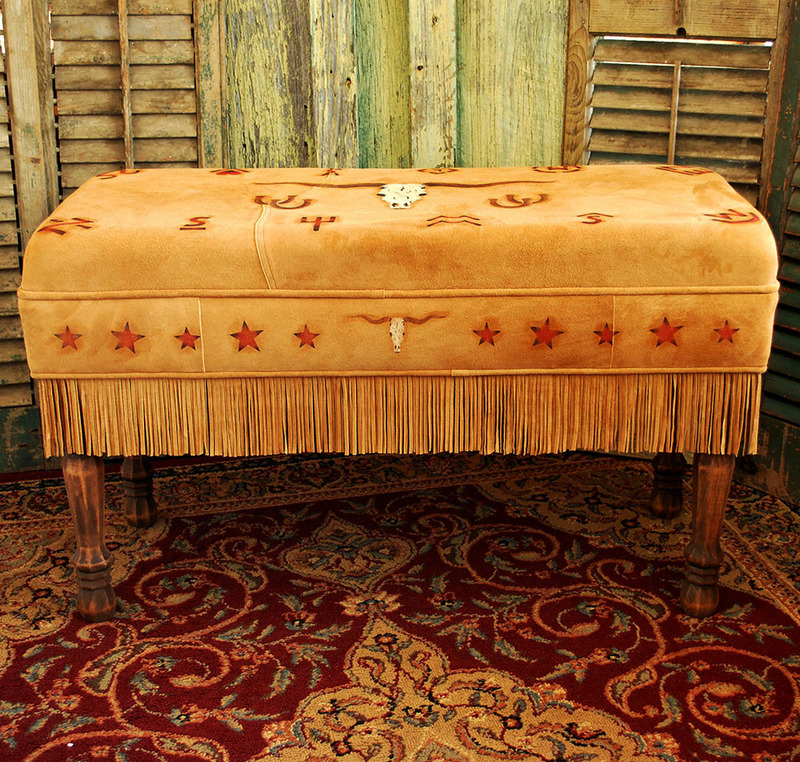 The bench stands 21″ tall for a comfortable sitting height.